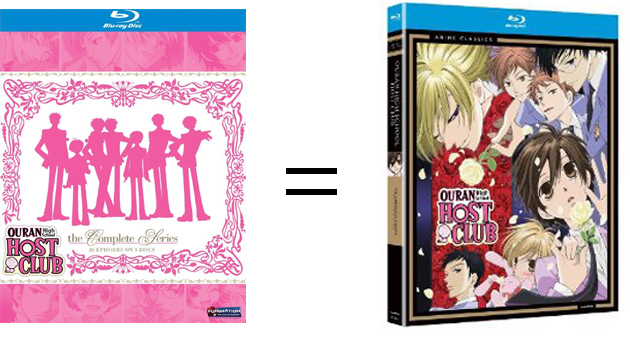 Two weeks ago, on May 15, FUNimation rereleased Ouran High School Host Club on Blu-ray. I am writing this post to let you all know that the rerelease has the exact same content found in the old Blu-ray release. The only difference is that the rerelease is a budget release and doesn’t have that shiny pink box to go along with it. 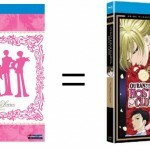 In other words, if you are interested in knowing more about this anime don’t hesitate to read our blu-ray review of Ouran High School Host Club. Additionally, on June 12 Media Blasters will be rereleasing Simoun at a really awesome price. As in the case of the Ouran Blu-ray we were also able to confirm that the Simoun rerelease is a repackage of the old DVD version. As so the product you will be getting is identical to the one we already reviewed. If you haven’t seen any of these great series yet now will be a good time to read the reviews and “adopt an anime”. The Simoun DVD review is now available in the reviews section and here. 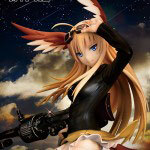 Well-crafted series are always fun to watch and Simoun is one such series. It’s a shame that the series’ biggest flaw is its English subtitles. I usually don’t lower the score of an anime even if it does contain some spelling errors or an untranslated bit here and there. Translators have a hard job and hundreds of words to translate each episode. That said, Simoun had too many mistranslations for me to not mention them, and when such a thing becomes a major issue for a series some review points will be decreased.